Prerequisite: This is for anyone who has already purchased the entire DVD series - then talk to George about anything you want for $150 / hour!! 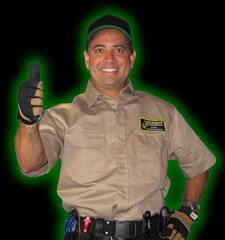 George's Carpet Cleaning Coaching teaches you how to become a money making machine! Anyone who buys the entire series can ask George for further personal at a low rate $150 / hour. 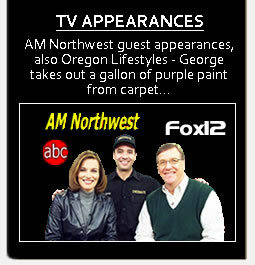 Talk to George about anything you want! Learn from someone who has been there and done it, who has a successful multi-truck operation, and knows the secrets to success. 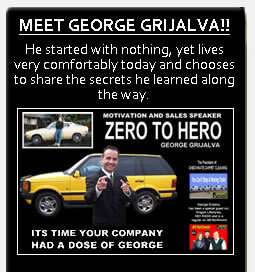 If there is anyone who can motivate you, George can! Watch all of his videos and then take your education to the next level with personal consulting. The additional insight and information you learn in a one-on-one consultation will leap you years ahead of your own experience. Special 6 Week or 6 Month Program - Buy 5 hours, get a sixth free and be enlisted in a six week or six month coaching program that will help turn your business into a super successful operation. Click Buy Now for either the 1 hour consultation or 5 – then during checkout fill in your phone number so George’s office can call and setup your appointment schedule! Prerequisite: This is for anyone who has already purchased the entire DVD series. Then talk to George about anything you want for $150 / hour!! Copyright 2008 Carpet Cleaning Trade Secrets. All Rights Reserved.